The headquarters of the think tank, Center for Strategic & International Studies, is located on Rhode Island Ave. in Washington D.C., costing more than $100 million to build it. Wealthy donors have given hundreds of millions of dollars more to CSIS, since its founding in the 1960s. With such an illustrious background and a megadollar budget to fund research papers, you might think its 44-paged report on Chinese President’s Belt & Road Initiative, authored by former CIA (Central Intelligence Agency) operative Charles Johnson, which was published last month, would provide readers with amazing insights, shocking new information and a blueprint on how Beijing would move forward on the New Silk Road. However if you have set such high expectations before reading the report, sponsored by the CSIS Freeman Chair in China, you will be disappointed. There’s no background analysis that has not already been mentioned in a public sphere. A reader gets the feeling the author simply logged on to the Google search engine, typed, “Xi Jinping One Belt, One Road” and wrote his study on related excerpts, while assuming the Chinese government has ulterior motives for embarking on the New Silk Road. Nearly half the report, does not mention the Belt & Road, but goes in different directions, such as disclosing China’s military modernization and foreign policy strategies that are not related to the initiative. The Western media and Washington D.C.-based think tanks have grown accustomed to hailing the so-called ‘China Threat’ theory. In the minds of CSIS, the Belt & Road does not deserve to succeed unless the US will “manage” the global initiative. 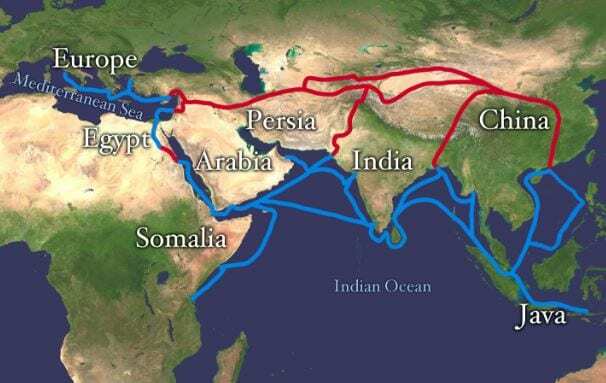 For CSIS, the New Silk Road is not about upgrading logistics, telecommunications, infrastructure to boost cross-border trade and investments in Asia, the Middle East, Eurasia, Africa and Europe. By engaging in more cooperation with Beijing on the Belt & Road initiative, the US can play it’s part too, but so long as it does not intend to interfere in a malicious manner.